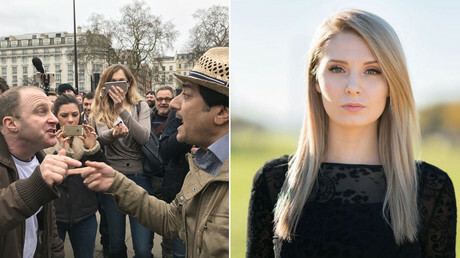 Right-wing activists have been banned from entering the UK and held in ‘detention centers’, sparking a free-speech debate on the streets of London. Members of Generation Identity (GI) and Antifa clashed on Sunday. Border police are currently holding three high-profile members of GI just months after the group opened its UK wing. Martin Sellner, Brittany Pettibone and Lauren Southern have all been detained as they tried to make their way to London.